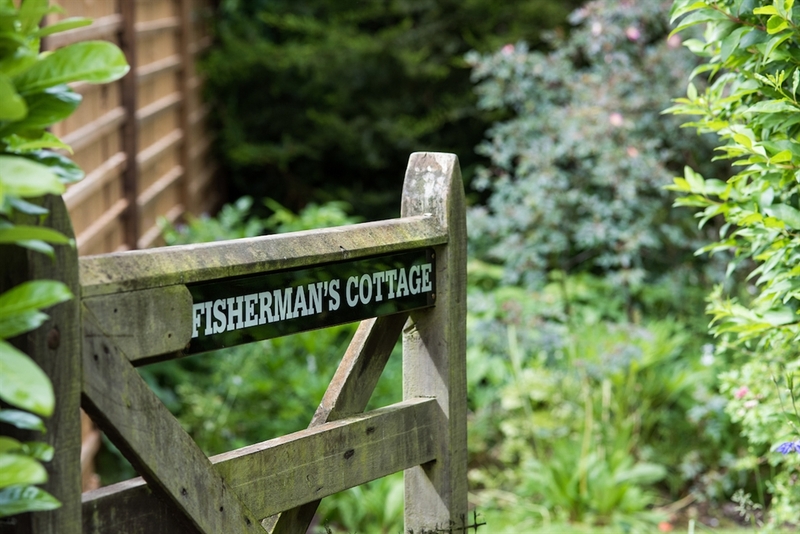 Sitting in the heart of Borders country, Fisherman’s Cottage comes complete with roses around the door and idyllic views. 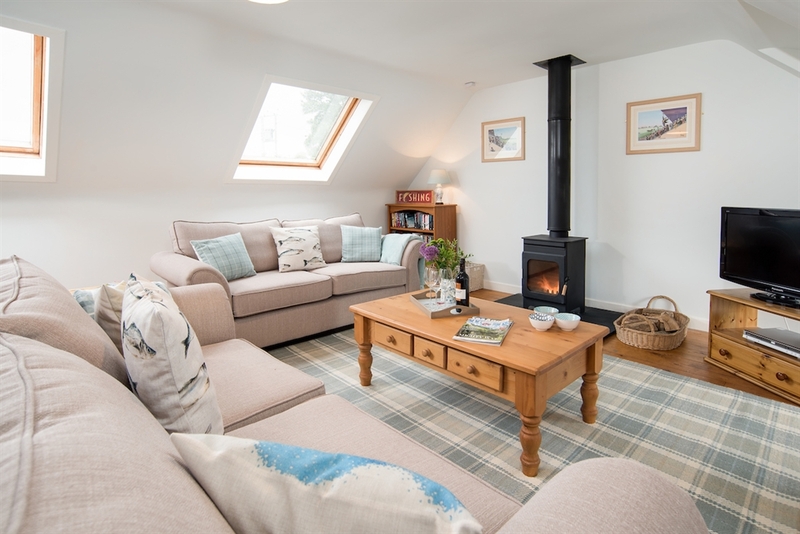 Positioned mid-way between St. Boswells and Melrose, the cottage enjoys a prime spot close to middle Tweed fishing beats and iconic local visitor attractions, including Scott's View, the treasured viewpoint of Sir Walter Scott which sits right on the doorstep. 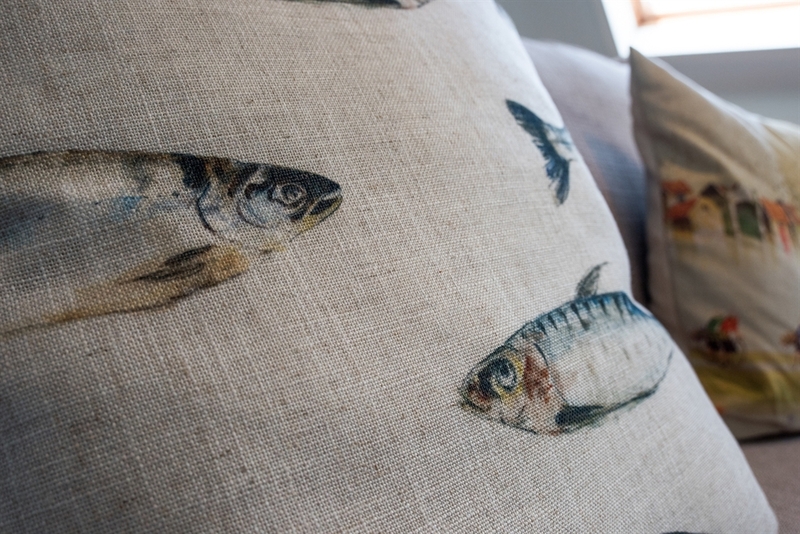 The pretty cottage garden is balanced with a country inspired interior, while the fishing members of the party will be charmed by the nod to piscatorial pursuits with practical considerations such as storage facilities for outdoor kit and rod racks available too. 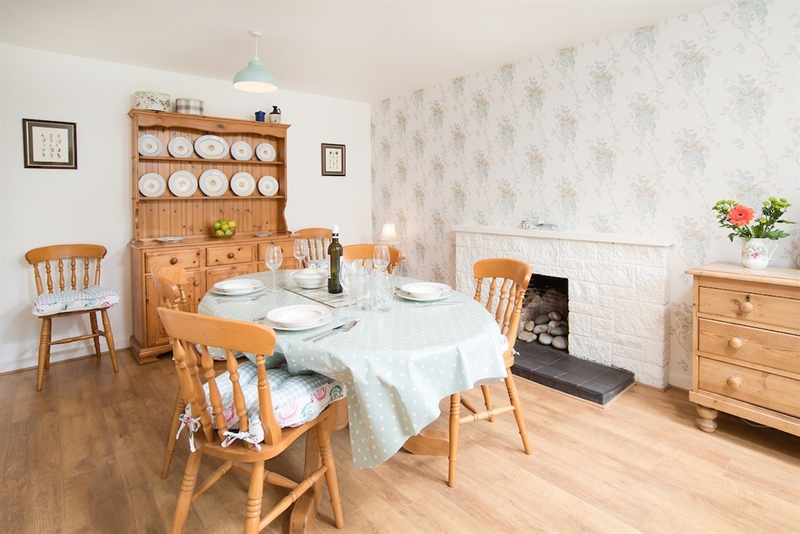 On the ground floor, the kitchen is a bright sunny spot with a lovely outlook onto the garden, leading into a good-sized dining room which can seat six guests comfortably for evening entertaining. 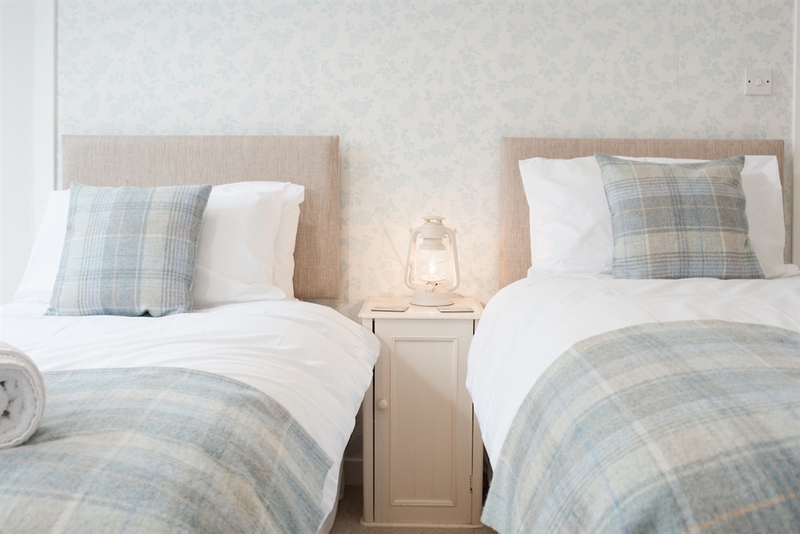 There is a ground floor double bedroom in a calming colour palette with the addition of zip and link bed configuration for extra flexibility, including the addition of a separate utility room and ground floor shower room. 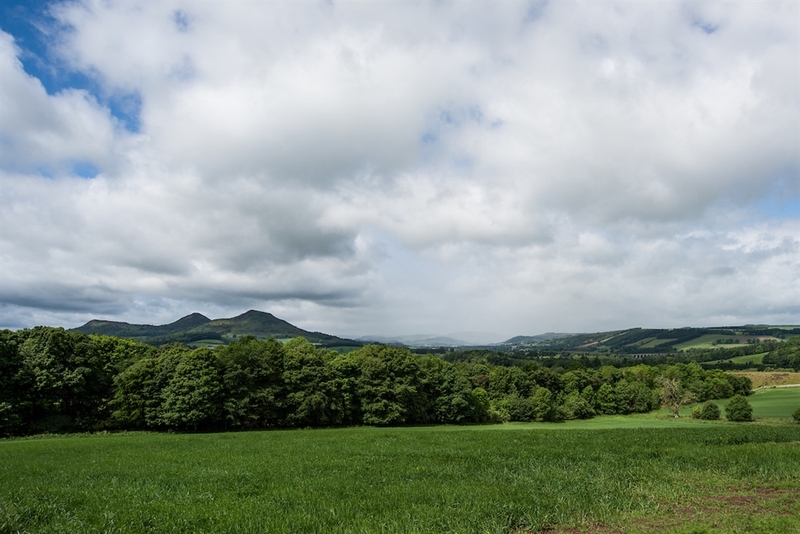 The sitting room is perfectly positioned on the first floor to take advantage of the views over the rolling Border countryside with distant views across the three peaks of the Eildon Hills and Leaderfoot viaduct. 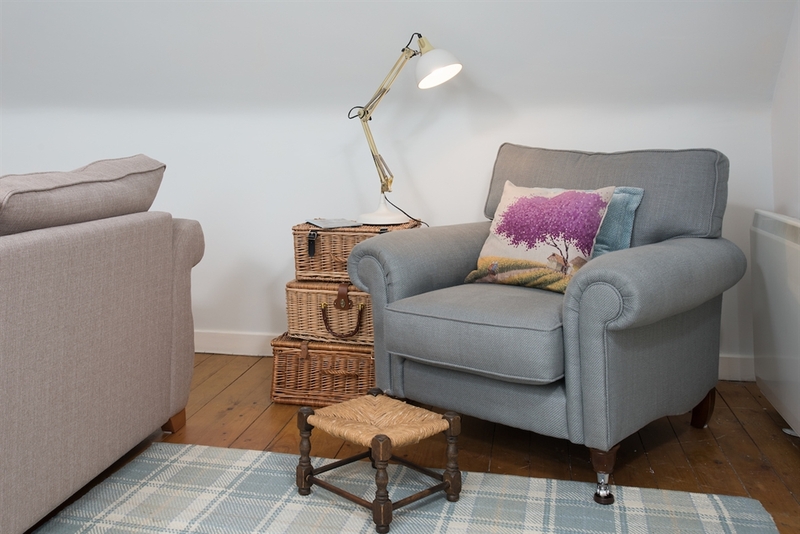 Originally used as an artist’s studio, this is a warm, cosy place to while-away the hours in front of the woodburner while a corner nook is a lovely spot to lose yourself in a good book. 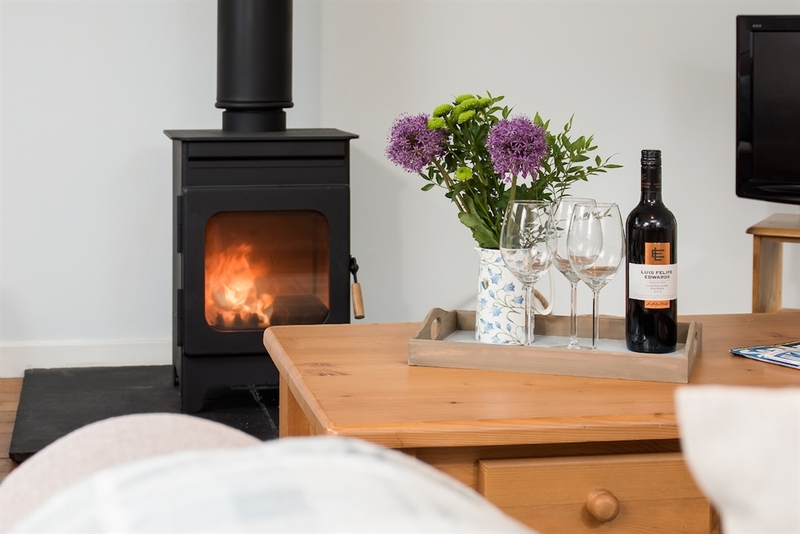 The accommodation is completed with a twin bedroom with coombed ceiling and Velux window, while a separate bathroom with whirlpool bath will tick the right box for those seeking a luxurious soak at the end of a busy day. 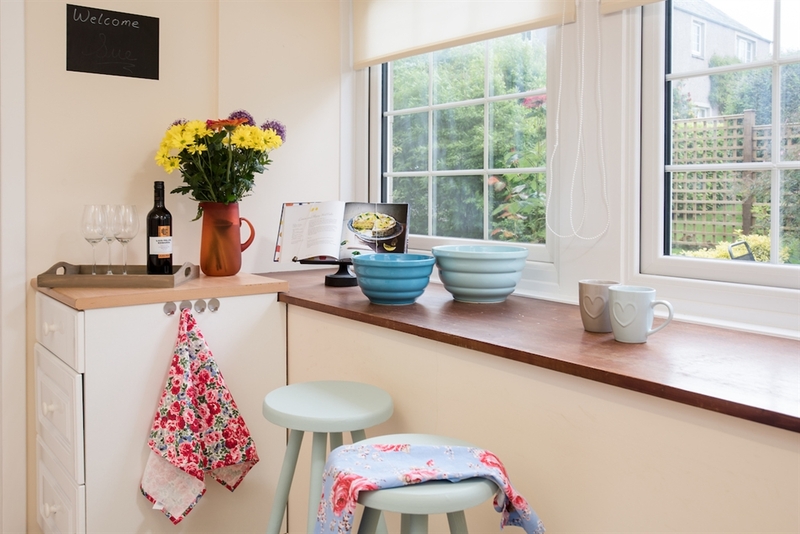 Kitchen with electric cooker with oven, grill and ceramic hob, fridge with separate small freezer above, dishwasher, microwave. Selection of cookbooks. Breakfast bar area with two stools looking onto the private garden. Dining room with seating for six, decorative fireplace, small TV with DVD player. Bedroom one with zip and link system which can be configured to a 6’ super king or 3’ twin beds as required, side tables, chest of drawers, cupboard with storage and hanging hooks. Utility/boot room with hanging rail, including space to hang waders, storage of outdoor kit, washing machine/dryer. 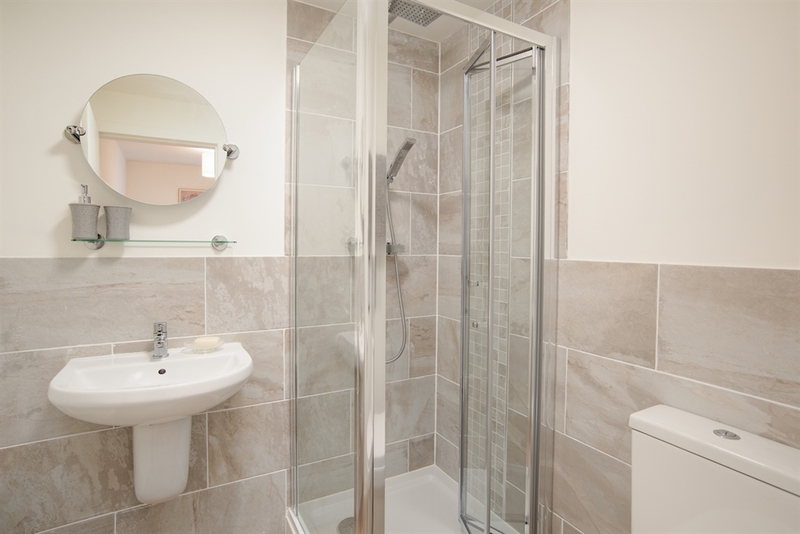 Family bathroom with corner shower with rainforest head and separate mixer, heated towel rail, basin and WC (this is accessed from the utility/bootroom). 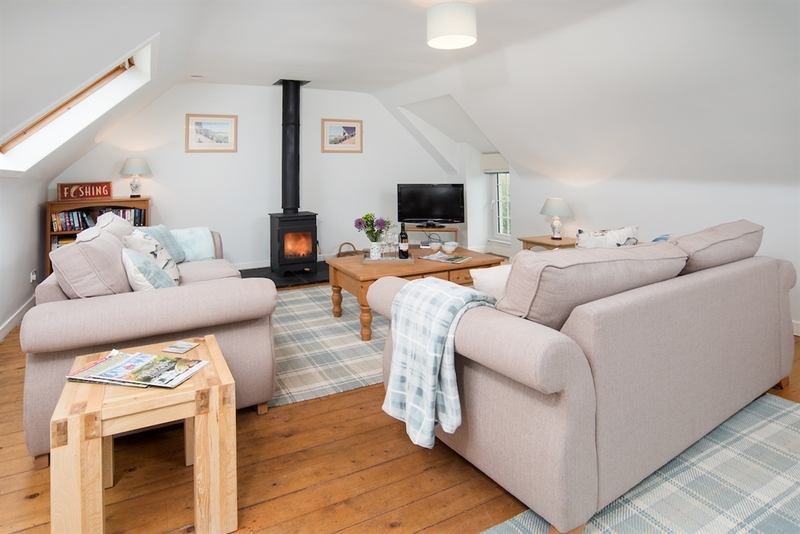 Sitting room with two large double sofas, high backed armchair, wood burning stove with generous initial supply of logs, flat screen TV with Freeview, DVD player, Bluetooth speaker. A selection of books, games and DVDs are provided. Two Velux windows with countryside views. Bedroom two with zip and link system which can be configured to a 6’ super king or 3’ twin beds as required, side table, chest of drawers, cupboard with hanging rail. Velux window with blackout blind. 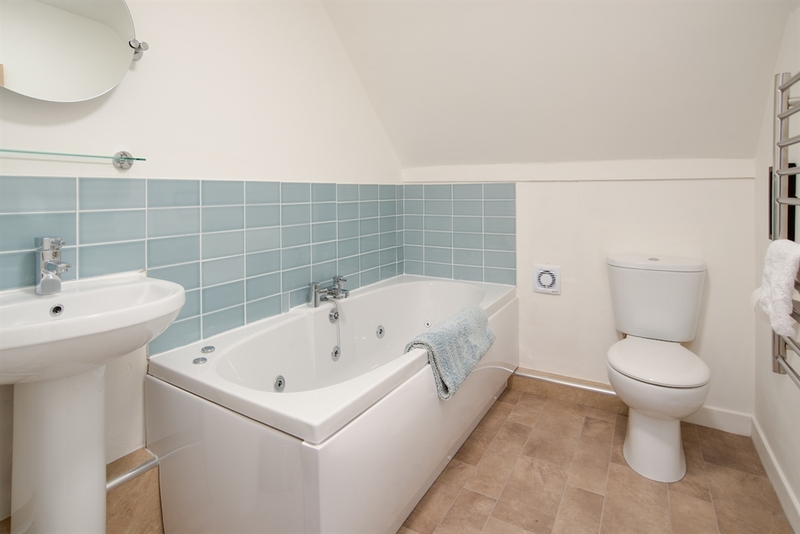 Family bathroom with whirlpool bath, heated towel rail, basin and WC. 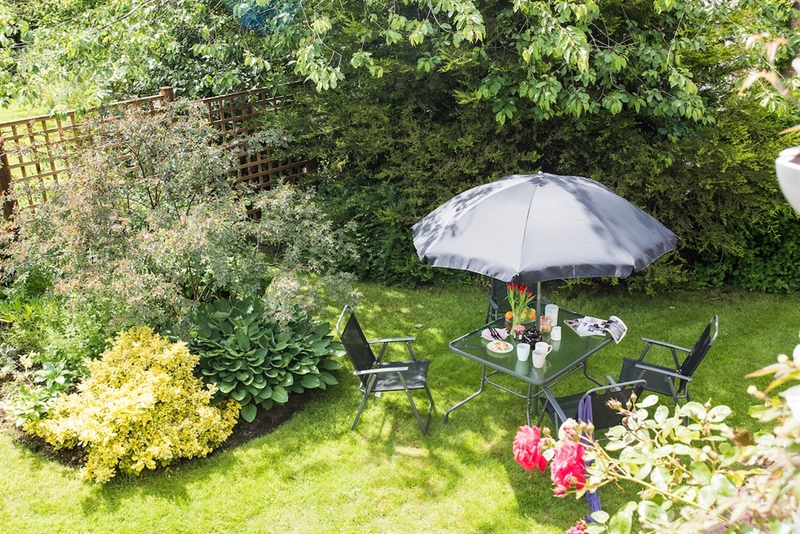 There is a lawned garden to the rear of the property with outside furniture which is fully enclosed. A barbecue will be made available for guest use in the summer months. External storage for outdoor kit and bikes can be made available on request. This includes a full length rod rack for fishing rods. Parking for two cars in a private access courtyard shared with the owner's property. Two well-behaved dogs are permitted but must be clean and dry before access into the property and then kept to the uncarpeted areas of the property only. 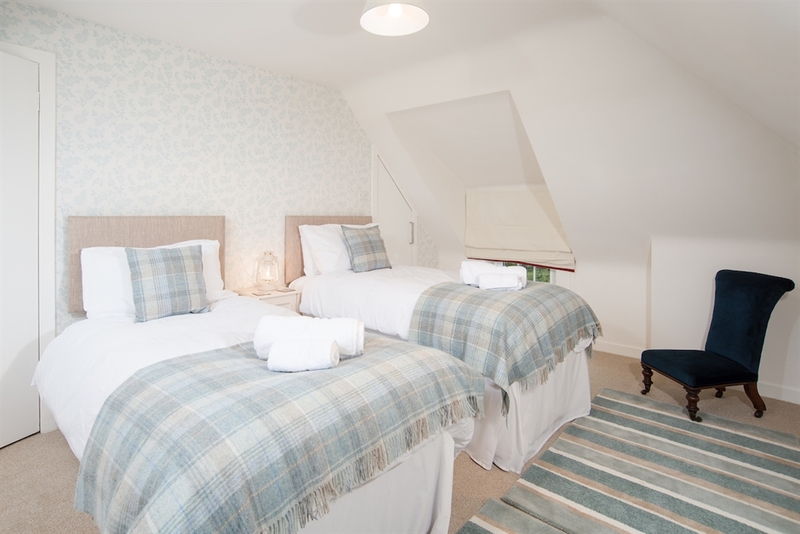 They are permitted in the upstairs sitting room when dry but not permitted in the bedrooms. 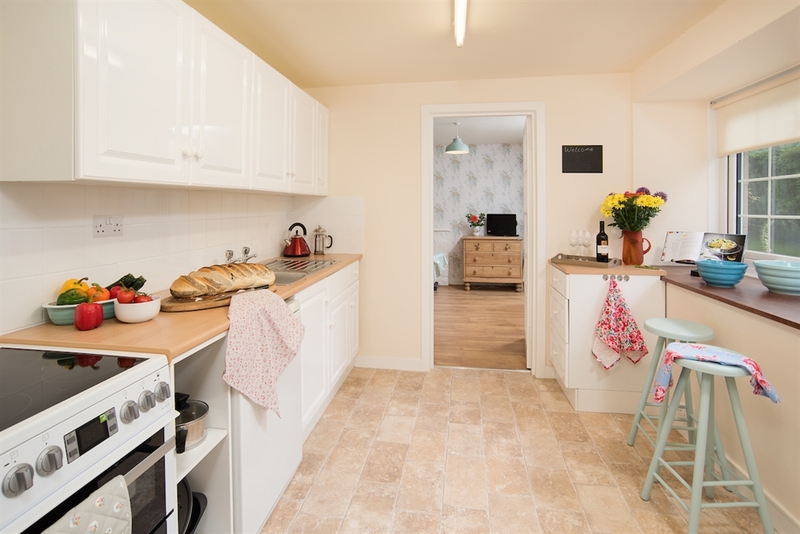 There is provision for dog beds and feeding in the utility room. 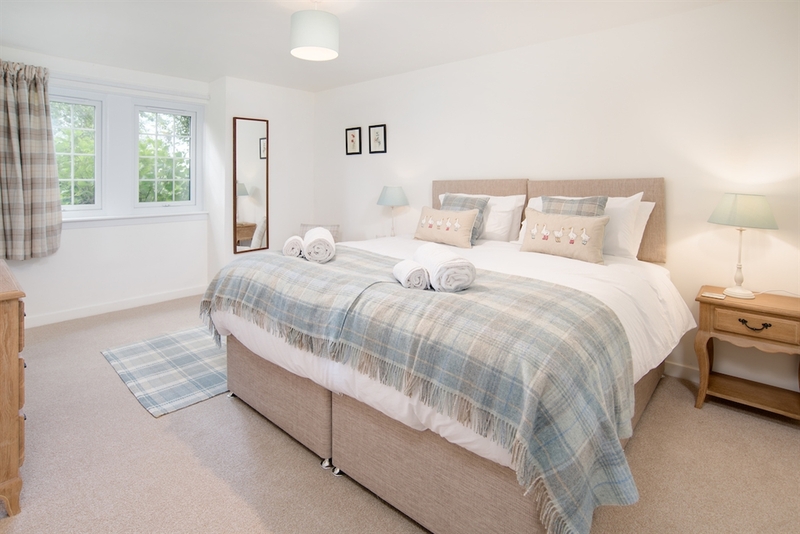 High quality bed linen and towels are provided for guests along with hand soaps and toiletries. A hairdryer is provided in each bedroom. 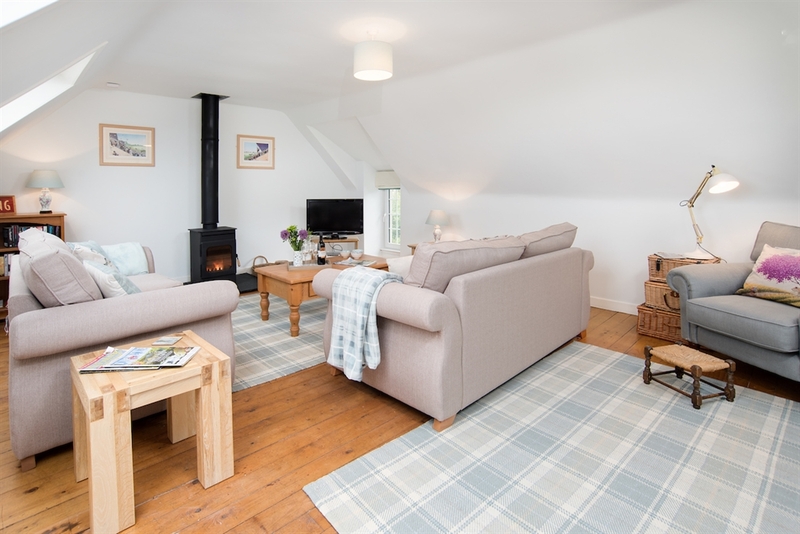 Superfast broadband is available throughout the cottage. 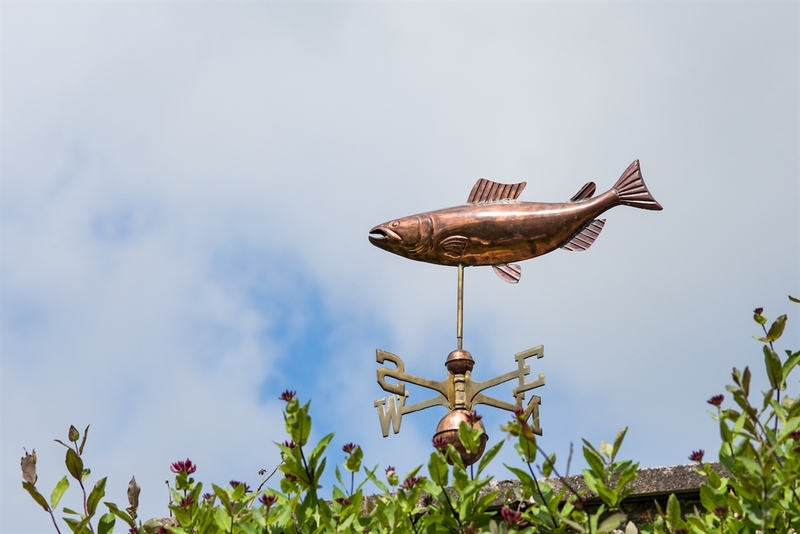 Mobile reception is reasonable but best on the EE and Vodafone networks. Electric heating throughout the property - this is a combination of storage heating and electric. Wood burning stove in the sitting room with generous initial supply of logs. The cottage sits to the side aspect of the owner's property but is not overlooked. 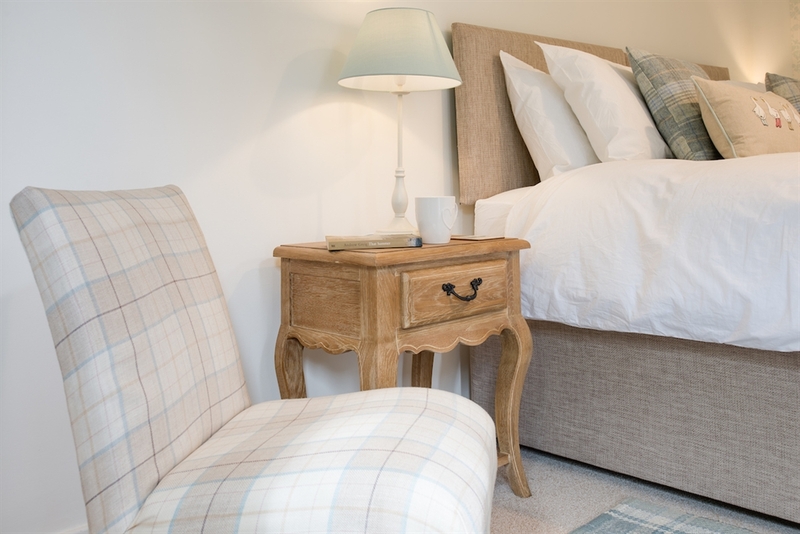 While the owners are on hand to help guests with any aspect of their stay, they are very respectful of guest privacy. 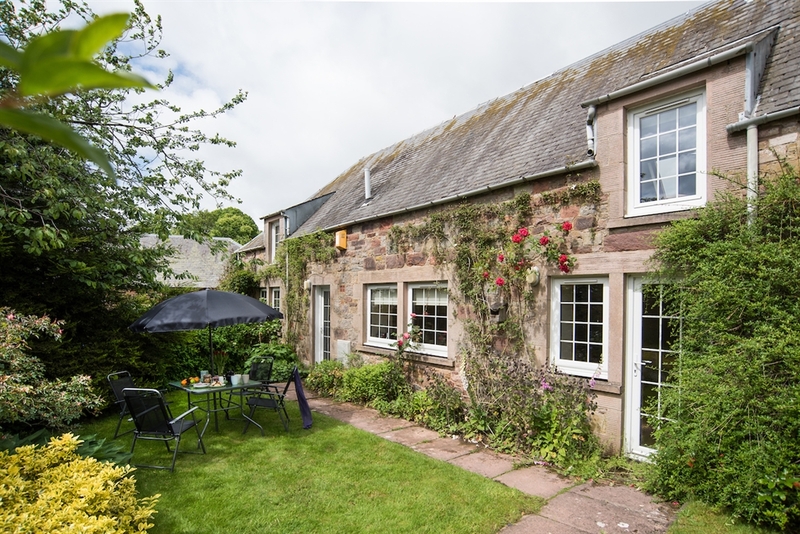 The property sits in a small village setting in the hamlet of Bemersyde.